Antenna and its daughter company ELEPHANT VERT develop innovative, effective and sustainable agricultural solutions to improve farmers’ productivity and respond to local demand. How can we intensify agricultural production to feed a growing population while protecting the environment? Thanks to advances in Research & Development, it is possible to make agriculture more productive and environmentally sustainable, as well as financially accessible to all farmers. Antenna Technologies and ELEPHANT VERT have developed an innovative range of micro-organism, biofertiliser and biopesticide products in Morocco and Mali. Offering equal or superior yields to those obtained with chemical inputs, this new product range allows farmers to partially or fully replace chemical fertilisers and pesticides. This reduces farmers’ production costs, increases their profits, and creates local employment. In addition, ELEPHANT VERT is able to recycle and create value from organic waste. 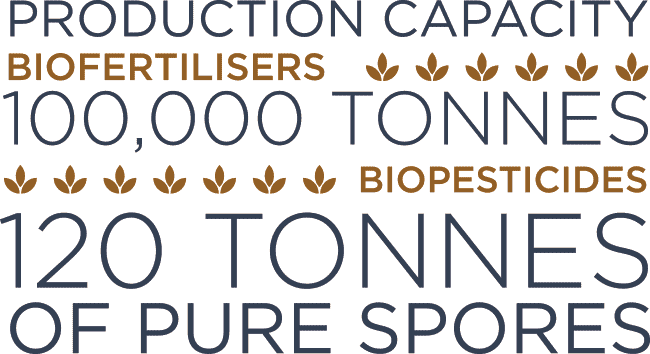 In addition to its innovative products, ELEPHANT VERT offers producers tailored technical and financial support. The “Plant Clinic” diagnoses specific crop issues, provides (technical) assistance to the farmer, and proposes appropriate, natural and effective solutions. A microfinance programme is being developed to give farmers access to loans at preferential rates, insurance packages, compensation funds, equipment loans and assistance. For the smallholder, the benefits are twofold: access to products, which the soil needs to yield a harvest, which in turn allows the farmer to become financially independent and build their assets.